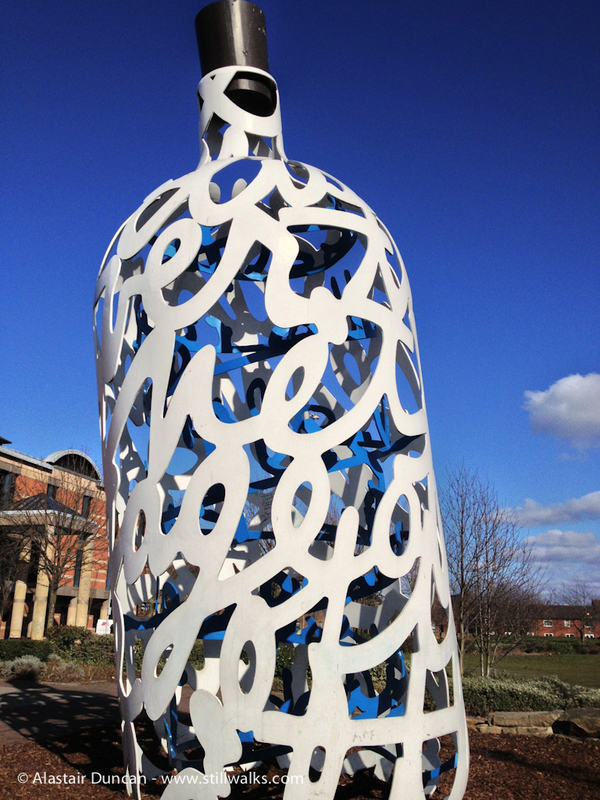 The Bottle of Notes sculpture by Claes Oldenburg is in the centre of Middlesbrough by MIMA (Middlesbrough Institute of Modern Art). There have been plenty of photos taken of it before now, but these are mine! 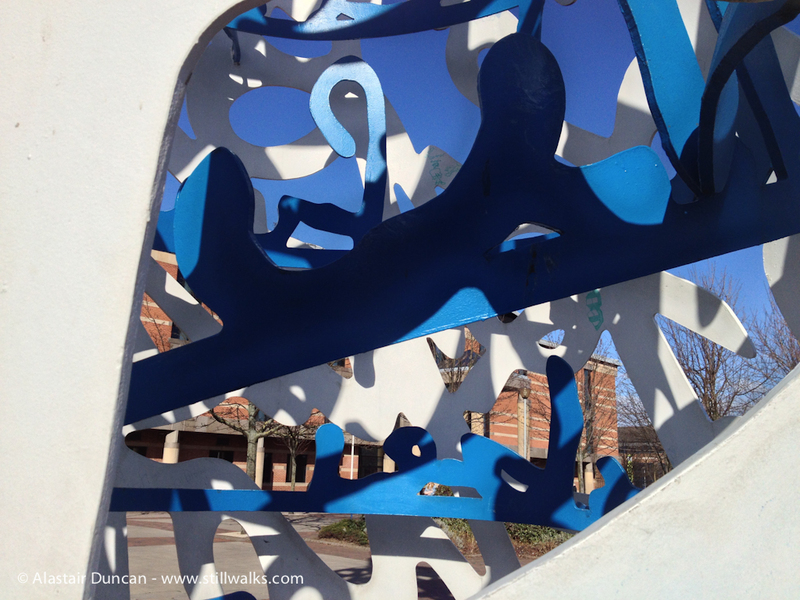 We had a short visit to Middlesbrough at Easter and managed, amongst other things, to see this, the MIMA exhibitions, the Anish Kapoor sculpture at Riverside Park (see tomorrow’s post) and had a walk round Great Ayton. 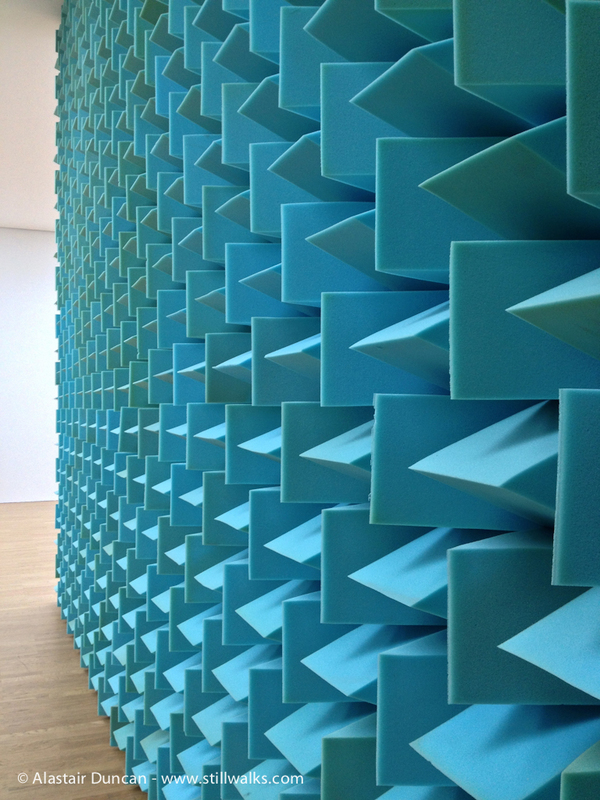 One of the exhibitions we saw at MIMA was Untitled Song by Haroon Mirza. I can’t show photos other than this wall in the gallery, but I did record part of the audio in the exhibition. Here is 30 seconds of it. 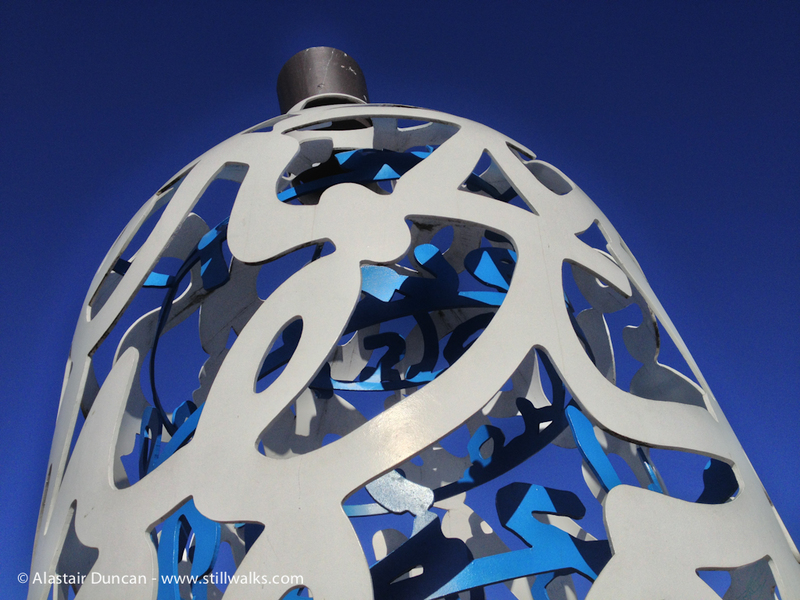 You may not find the sound particularly easy to listen to – it’s not exactly popular music – but there was more to it than this sample and it worked well with the space and the sculptures by James Clarkson, some of which had been modified by Mirza. Posted in art, Photography, Sound, Travel, Urban and tagged Bottle of Notes, Claes Oldenburg, Haroon Mirza, Middlesbrough, Middlesbrough Institute of Modern Art, MIMA, photography, sound, Untitled Song.